OLBG.com is one of the best resources for punters on the world wide web and it caters for both novices and experts alike. This lesson focuses on how to get the most out of OLBG. 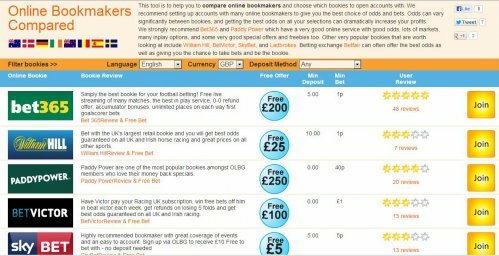 OLBG lists all the latest bookie free bets and promotions so that punters who don’t have the full compliment of bookmaker accounts can see the best time to open new accounts but just as important are the bookmaker reviews. These aren’t written by OLBG or the bookmakers but instead by OLBG members. This means you can read honest opinions about each bookmaker in order to decide which bookmakers you want to bet with and have an account with and which you don’t. 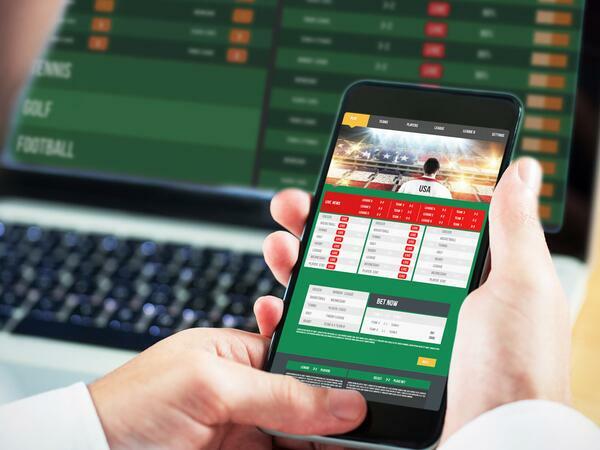 The OLBG Forum features discussion on all the major (and minor) sports and sporting events as well as general betting discussion, non betting discussion and gambling help for those who think they might have a problem with gambling. OLBG members are invited to ask questions as well as pass on their knowledge and tips on the forum making it an ideal resource for very knowledgeable tipsters as well as those who are only just taking up betting on a certain sport. 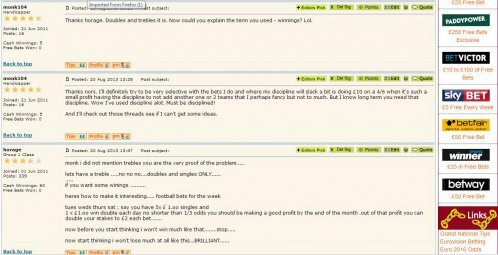 The OLBG Tipping Competition underwent some major changes in 2012, changes that encouraged tipsters to add more analysis to their tips and rewarded that extra analysis with more prize money. The more successful tipsters on OLBG can use the free to enter OLBG Tipping Competition to earn some money each month without any risk and also to build up a following on OLBG. 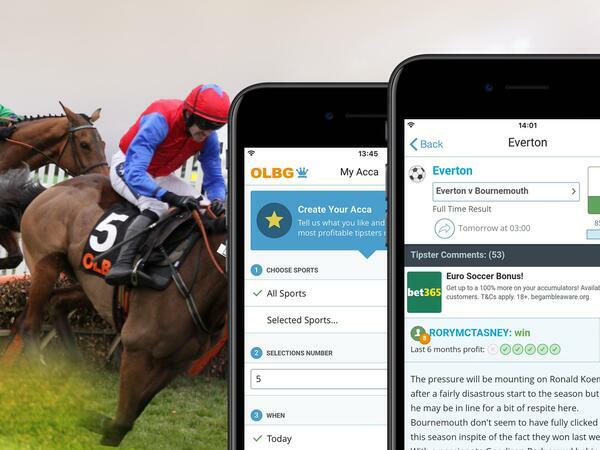 OLBG members who have less betting experience may simply want to use the OLBG Tipping Competition to help with their betting, they can find the most popular tips on each event and also read the tip comments to gain a better understanding of the best bets in that event. They can also subscribe to their preferred OLBG members and get alerts every time those members make a tip. The OLBG blogs have proved extremely popular on OLBG since their launch. Only the most popular, profitable and knowledgeable OLBG members are given blogs so anybody reading an OLBG blog can be sure they are written by experts in their fields. The blog subjects range from general betting strategy, to tips for a certain event to testing out betting systems and with the option to comment on each blog these subjects can be debated just as they can on the OLBG forum. The betting school was revamped and improved in 2013 to include a better layout, more lessons and to integrate OLBG member knowledge into the lessons. 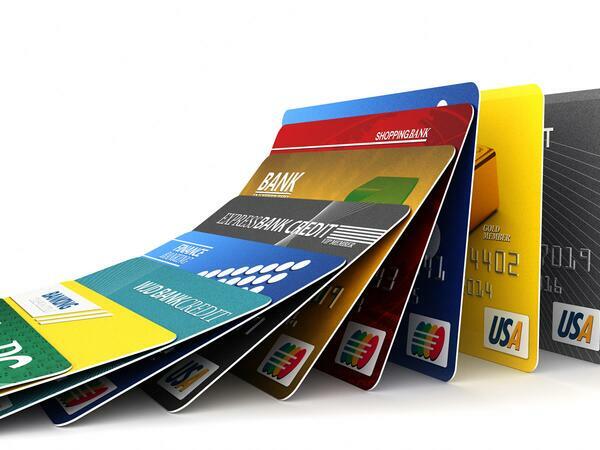 The betting school covers a wide range of betting subjects and aims to be the indispensable guide to having a bet. If you think there is anything missing from the betting school please let us know. OLBG launched an iPhone App in 2012 and an Android App in 2013. Check out the video below for more information. There have been many success stories on OLBG over the years. Read about some members' memories of OLBG on this thread or create your own memories in your favourite area of the site.